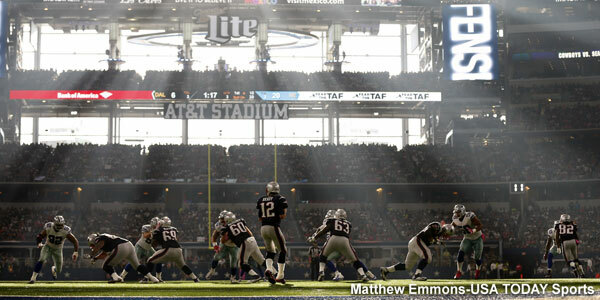 The Patriots take on the Texans for the third time in the past year, so this is an opponent that the team knows well. 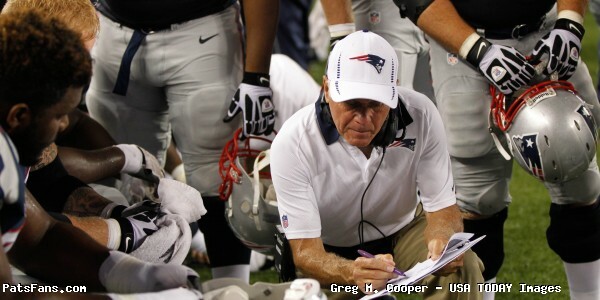 Besides all of the ex-Pats on the Texans’ coaching staff. They met in Week 2 and the Divisional Round of the playoffs last year and conducted some joint practices along with a preseason game this summer. The level of familiarity is there, and that will bring out some of the rivalries we normally see reserved for divisional foes. 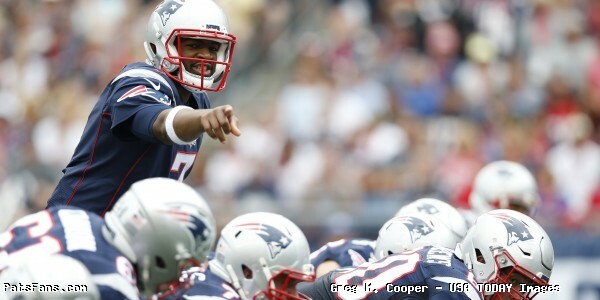 The Patriots have had very good success against Houston and have never lost to them in Foxboro. But despite that, this is a team they respect and their defense, especially their front seven is one of the best in the NFL. The Patriots changed the way they practice because of J.J. Watt. That speaks to the level of respect. 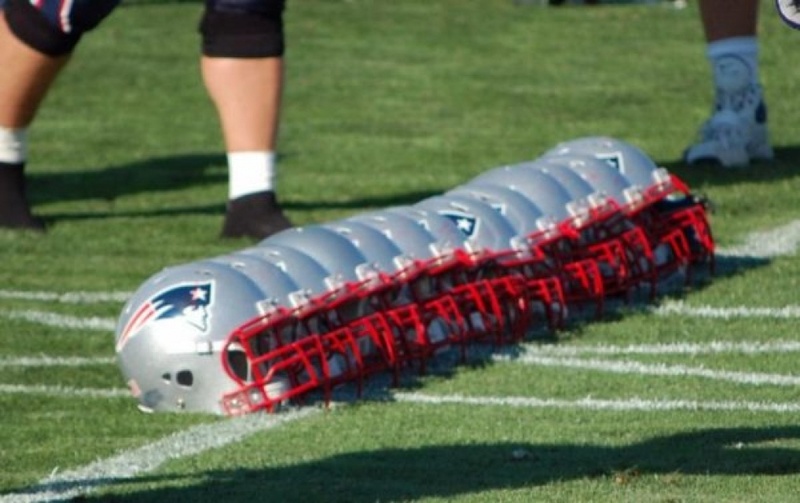 If you’ve attended any of the practice sessions at training camp and you see the coaching assistants at the line of scrimmage waving those tennis rackets when Tom Brady and the QBs throw? That is because of Watt. A few years ago before a big game with Houston here, Watt’s ability to knock passes down at the line was well known, so the Patriots installed that little tactic in before that game. If Brady’s passes weren’t right where they needed to be, the long arms with rackets would knock the pass down. It is a training tool that they’ve now kept and use regularly. So, with that in mind…. He’ll be facing a Texans defense that knows the Patriots well. Romeo Crennel was the DC here for the first three Super Bowls of the Patriots era. Defensive Coordinator Mike Vrabel played an integral part of those teams. Houston head coach Bill O’Brien was the offensive coordinator for the Pats. So, Houston knows what the Pats like to do, especially in certain downs and situations. Vrabel will try to change his pre-snap looks to something different once the ball is hiked to slow Brady’s thought process down and give his pass rush that extra half-second to get home. Of course, Brady knows this too, he’ll be ready for the shifting line just before the snap, to the secondary members shifting at the snap. It all will come down to execution. Brady will have all his WRs back at his disposal this week (sans Julian Edelman). But in this one, I’m looking for the running backs to get a lot of looks in the passing game. 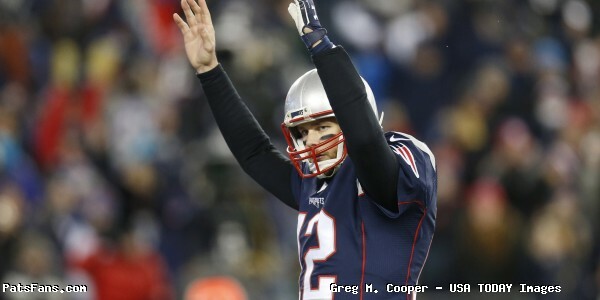 In the playoff game in January, Brady was just 18-38 for 287 yards with 2 TDs and 2 INTs. The Patriots weren’t good (5-14 only 36 percent) on third down. And this was facing a Texans defense without Watt. He’ll have to be on top of his game Sunday. Safety Devin McCourty: The Patriots defensive philosophy has always been to try to take away their opponent’s best weapon and force them to beat you in other ways. For the Texans, whose WRs and TEs have been banged up, they’ll once again rely on DeAndre Hopkins in the passing game. Hopkins has been targeted 29 times in the first two games, nearly half of the Texans 60 pass attempts. The Patriots know this and know who the priority to stop is. One of the issues they’ve had on defense thus far has been the giving up on big plays, something they were excellent at stopping a year ago. The Texans are limited offensively and forcing them to work their way down the field to score is the way to force their rookie QB (DeShaun Watson) into making mistakes. McCourty is the QB of the secondary. He’s in charge of making sure those communications issues don’t happen and he’ll be the last line of defense in stopping Hopkins from ringing up big plays. The team will use a corner underneath and bracket him over the top. McCourty will be that last line of defense. Wide Receivers Brandin Cooks/Danny Amendola: Double dipping here. 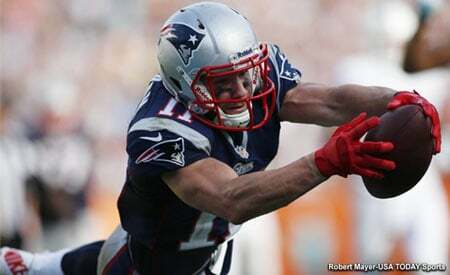 The new Patriots wide receiver (Cooks) has been good but not great yet this season. By his own account, the speedster has been disappointing as he wants to be a dominant part of the offense. While he’s on pace for a 1000 yard season, he knows he’s capable of more. This is the reason the Patriots got him this spring. Teams that will try to clog the middle of the field to take away the short/intermediate passes and dare them to throw deep. Cooks has the speed to make them pay. With top corner Jonathan Joseph, not 100 percent physically and Kevin Johnson out expect Brady and the Patriots to test the defense deep. 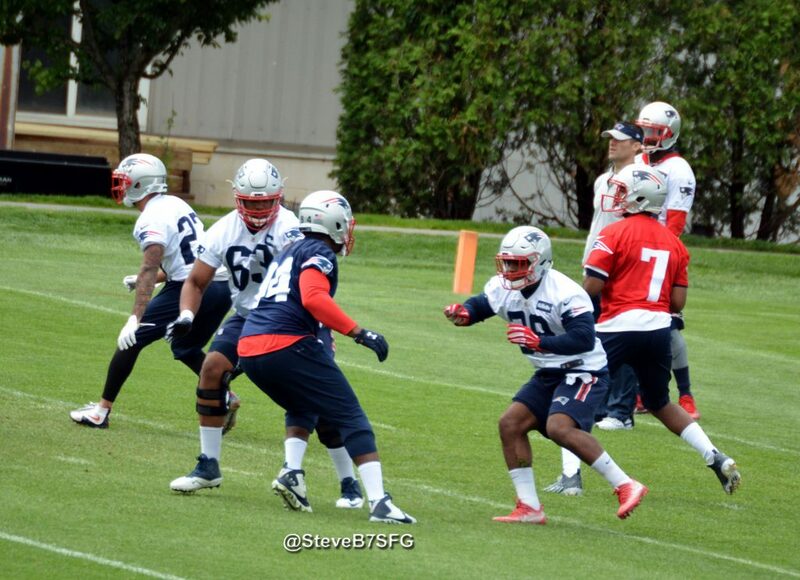 Cooks may be in-line for his first big day offensively. Amendola returns from the concussion protocol and will be the quick slot target underneath that they’ll need Sunday to counter the pass rush of the Texans. Edelman had a big game against Houston in the playoffs and Brady will need Amendola to get those short, move-the-sticks catches underneath to keep drives alive. Linebacker Kyle Van Noy: The Patriots linebacker has taken on different roles since arriving here from Detroit last season. He’s been asked to do a little bit of everything. 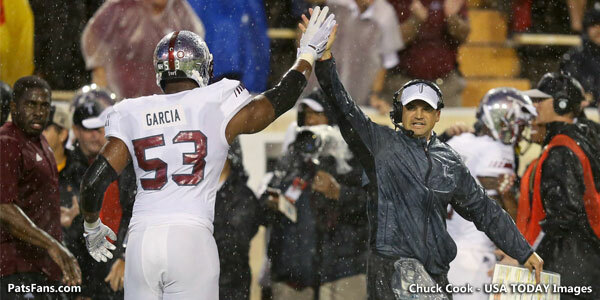 This week, he may get placed on the running backs out of the backfield. Lamar Miller is a guy the Patriots know well having faced him in both Miami and in Houston. He’s a valuable guy running the ball and catching it out of the backfield. He, D’Onta Foreman and possibly Tyler Ervin will present some challenges for Watson to target underneath. Van Noy may be used to slow down the backs out of the backfield or to help keep Watson in the pocket this week. It will be an on-going chess match to see how the defense aligns to try to keep Houston’s offense in check this week. Van Noy will play a key part of this. Offensive Line: We could have picked Nate Solder or Marcus Cannon (if he even plays) as the Texans can bring the heat from the edges. But having Watt healthy this time, and knowing how Houston can move him around, this will need to be a collective effort by Dante Scarnecchia’s crew this week. In the playoff game in January, the Texans brought their pressure up the middle against Center David Andrews and it worked very well, they kept Brady off-balance all game long and completed less than 50 percent of his passes. They could do this again, or attack off the right side where either Cannon will be less than 100 percent or target his replacement. The Texans to win this game will need a big defensive effort and probably generate some turnovers as well. They can’t get into a shootout with the Patriots given their lack of weapons on offense right now. Watt, Clowney, and Mercilus have yet to register a sack this season. They’d like nothing better than to break out in a big game against Brady. 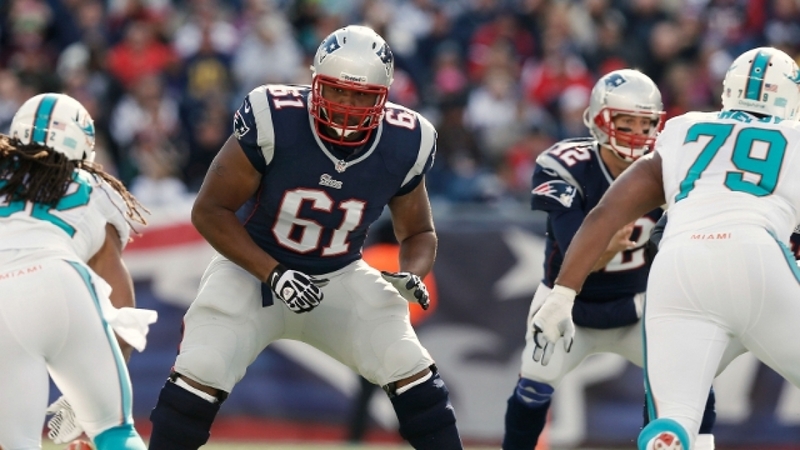 The offensive line play will be key this week for New England to win. 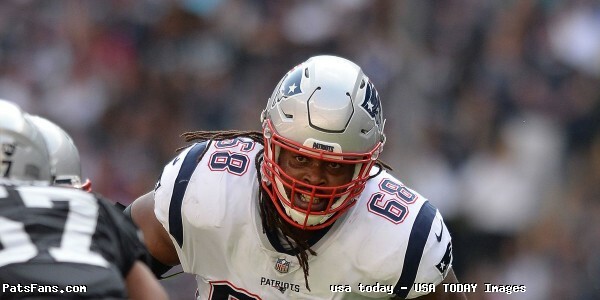 This entry was posted in 2017 Patriots Season, NFL Commentary, Patriots Commentary, Patriots News and tagged 2017 Patriots Season, Benardrick McKinney, Bill Belichick, Brandin Cooks, Chris Hogan, Danny Amendola, Deshaun Watson, Devin McCourty, Houston Texans, Jadeveon Clowney, JJ Watt, Julian Edelman, Kyle Van Noy, New England Patriots, NFL, Patriots, Patriots offensive line, Tom Brady, Whitney Mercilus on September 23, 2017 by Steve Balestrieri. Well, a quiet Sunday afternoon suddenly isn’t. 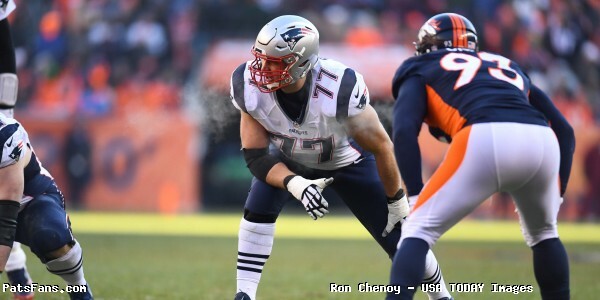 The Patriots got a double whammy on Sunday when they learned to Dion Lewis needs another surgery and will be out an additional 8-10 weeks, and right tackle Sebastian Vollmer is likely headed to IR for a bad hip as well as a balky shoulder. 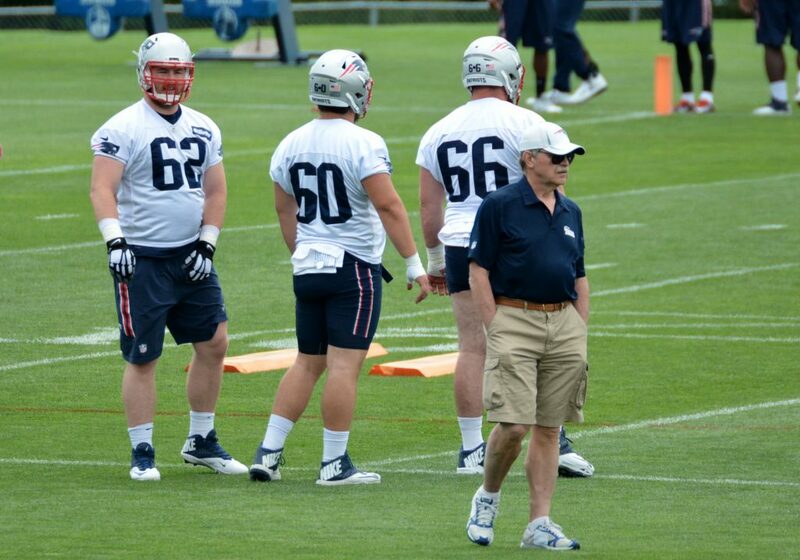 Vollmer has been on PUP since training camp began. The news was first reported by Jim McBride of the Boston Globe. Guard Shaq Mason it has been reported missed the Chicago Bears preseason game with a broken hand. Mason was one of the team’s most reliable offensive linemen in 2015. 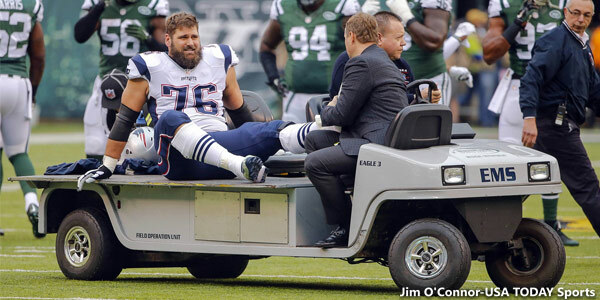 Vollmer could conceivably still play in 2016. 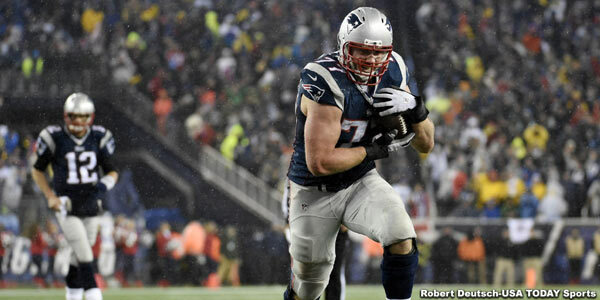 If the Patriots decide to place Vollmer on the IR, under the new rules, he could return later in the season. Each team is only allowed one such move per year and they don’t have to designate which player will return as in the past. We had Vollmer as starting the season on PUP in our latest roster projection but now it looks like he could be gone for the entire year. 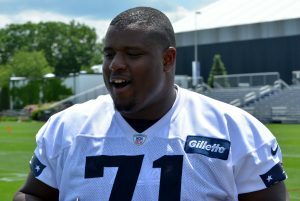 Now Marcus Cannon, who has been getting most of the starting reps during training camp will begin the season as the team’s starting right tackle opposite of Nate Solder. We posted numerous times this spring that the team needed to address the RT of the future. The Patriots, however, opted to stand pat and this is one decision that may come back to haunt them. They also have Cameron Fleming, La Adrian Waddle and Keavon Milton as backups. 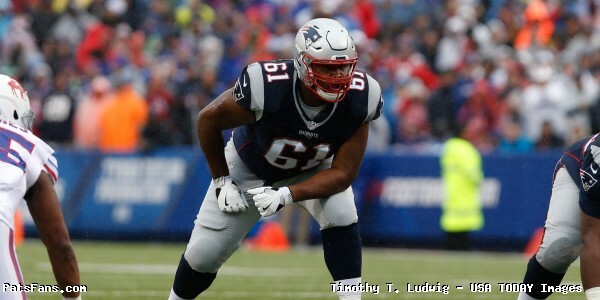 This entry was posted in Patriots Commentary, Patriots News and tagged 2016 Patriots Roster, 53 Man Roster Projection, Bill Belichick, Cameron Fleming, LaAdrian Waddle, Marcus Cannon, Nate Solder, New England Patriots, NFL, Patriots, Patriots offensive line, Sebastian Vollmer on August 21, 2016 by Steve Balestrieri.